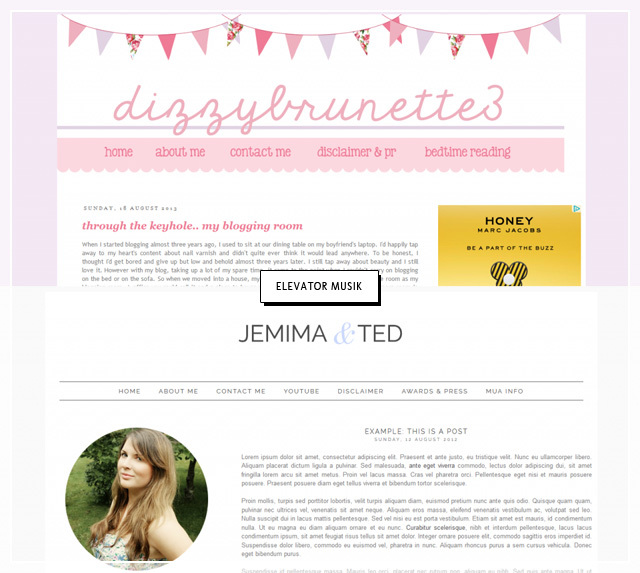 I constantly get wow’ed by loads of different blogs that I come across both at work and privately. Seriously, you should see the amount of websites I have saved on my computers for future reference and inspiration (or read: for knicking bits and bops for my own designs hah). There are just so many, many blogs out there that are absolutely stunning and we all do get inspiration from it, both from the blog posts themselves (how often have you thought “oohhh I’ll blog about this too!” or maybe that’s just me hah!). Some designs make my heart hurt (in a good way!) that I ‘m not as good as a web designer as I always thought I was. But looking at these designs all over the net, there are just some very, very, very talented web designers that I don’t even need to compare myself to them anymore, because, well it’d be pretty pointless. Like I stand a chance hah! 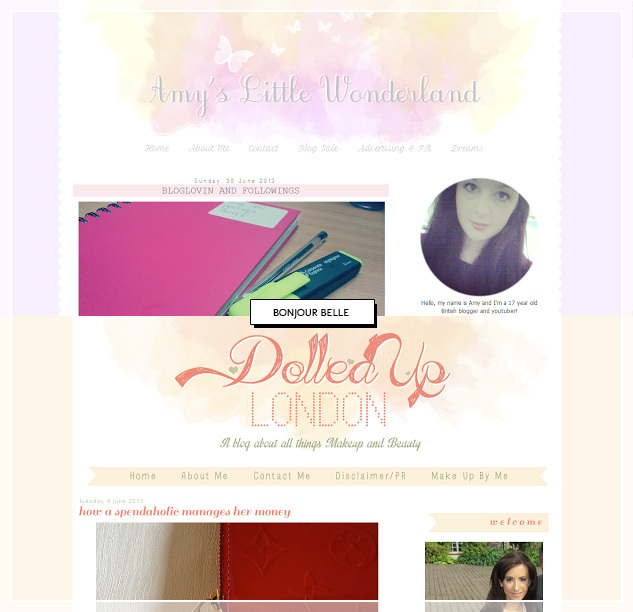 But I thought I do a wee compilation of super talented web designers for you to commission with a brilliant design for your blog! They have all worked with some of the biggest UK bloggers around, whether that’s Corrie from Dizzy Brunette 3 or Michelle from Daisy Butter. But rather than describing what these lovelies do, have a look at their best designs (in my point of view) below and click on the individual pictures to go through to their websites! she is, isn’t she! i would love to be so incredibly talented! 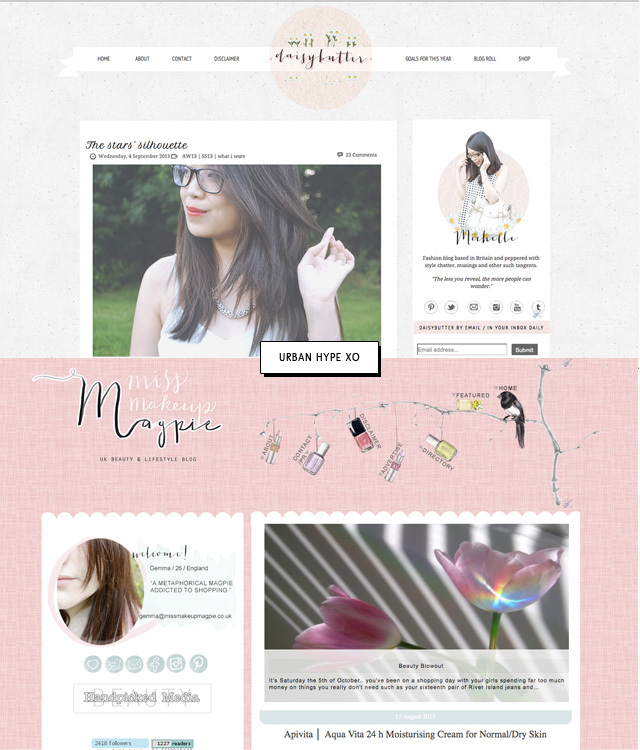 They’re all so pretty but I would like to get my blog done by Urban Hype, it is so pretty and I am saving my pennies to get one! do it, grace is amazing!!! :) let me know how it goes, i’d love to see what she creates for you! - Phone as their birthday gift. Amazing.This post is relly helpfull.